Well, I’ve done it again. I’ve chosen a yarn that’s too thick to line my mittens WIP with. Oh, well. Part of knitting is being willing to rip out. 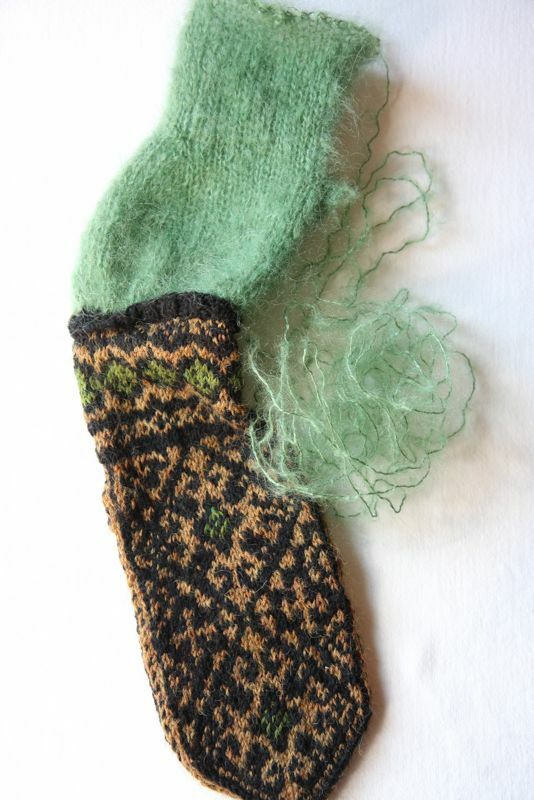 I’m knitting these Andalus Mittens for my MIL for Christmas next year (yes, I’m working on Christmas gifts already) and I lined them with Rowan Kidsilk Aura, a worsted weight yarn. It just was too thick for that mitten size, so I’m ripping it out and ordering some Kidsilk Haze, which is a lace weight. It also comes in a pretty apple green color and should work fine. The question is: should I hold it double or knit it single for the lining? On my Northman Mittens, I held it double but I’m not sure if that will be thin enough for these mittens.